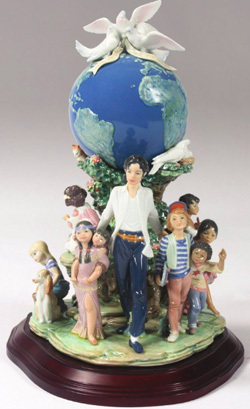 Around the corner from our office are a couple of antique stores that sell what I can only describe as the world’s worst kitsch. 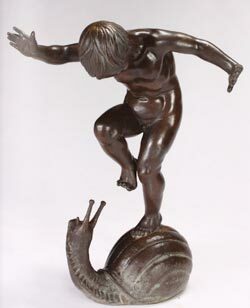 A specialty is giant garden statuary of prepubescent children doing idyllic things that no kid has done since 1897, like playing leap-frog or fishin’ with a branch. I figured the stores, which are always packed to the rafters, were some kind of money-laundering front. Now I know better. They were supplying Michael Jackson. 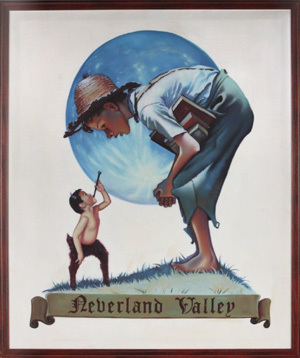 If you have a few minutes, go check out the auction catalogs for Jackson’s Neverland Ranch. 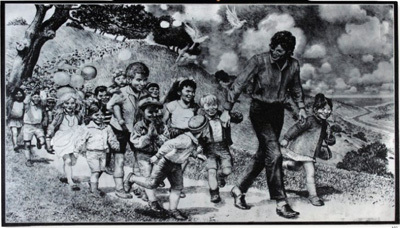 The King of Pop, in desperate need of cash, is selling off 2,000 of his possessions. 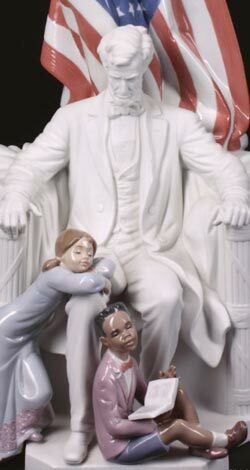 What’s up for sale is an awesomely horrible glimpse into the world of the man-child who blew his money on jaw droppingly bizarro figurines like this, which even Abe Lincoln seems disturbed by. More examples after the jump. 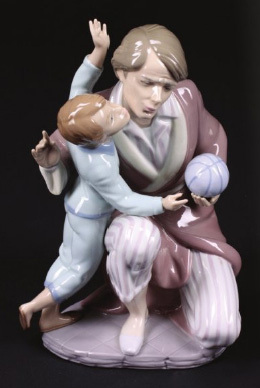 Bet your grandparents’ porcelain collection didn’t have anything as creepy as this.